UFW Stories: "Following Dad and Supporting the UFW"
"Following Dad and Supporting the UFW"
As youngster Dad took us to pass out flyers to all the houses in Delano and surrounding communities. When we were sent to Kansas City,Kansas we went to Safeways stores and told people not to buy grapes! 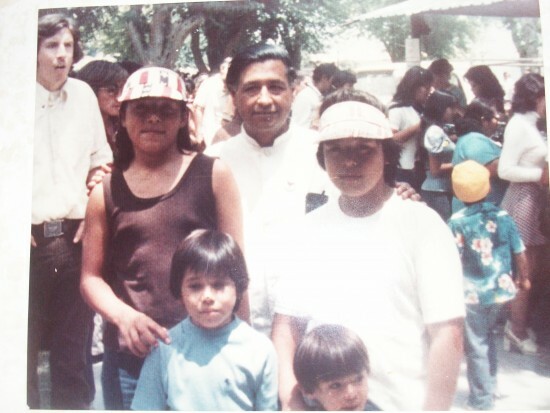 Our Dad, Roberto Bustos, was the Captain of the historic march from Delano to Sacramento. We would march on weekends with my Dad and all the other supporters. They marched for 25 days, more than 400 miles, visited 53 communities and spent the night in half of them! We joined him on the last day, Easter Sunday, on the steps of the State Capitol. Nothing makes me more proud knowing I followed and supported my Dad and the UFW and now read this historical event in history books.